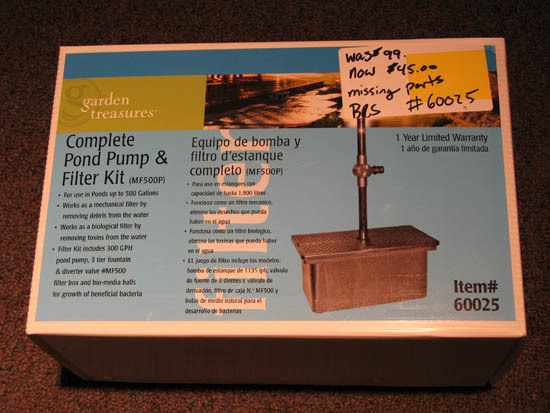 In order to bring water from the fish tank up to the top of the Farm Fountain you will need a pond pump. This one was purchased at Lowes for the discounted price of $45 due to it being a floor model with a missing sprayer top. Normally it is $99, so we were happy. Pay attention to how high it can lift the water, as well as how many GPH (gallons per hour) it can pump. This one pumps 300 GPH and it has no problem lifting enough water up 6 feet high.